January 15, 2014 February 10, 2016 ~ Sara W.
I captured this sweet moment a few months ago when visiting family. 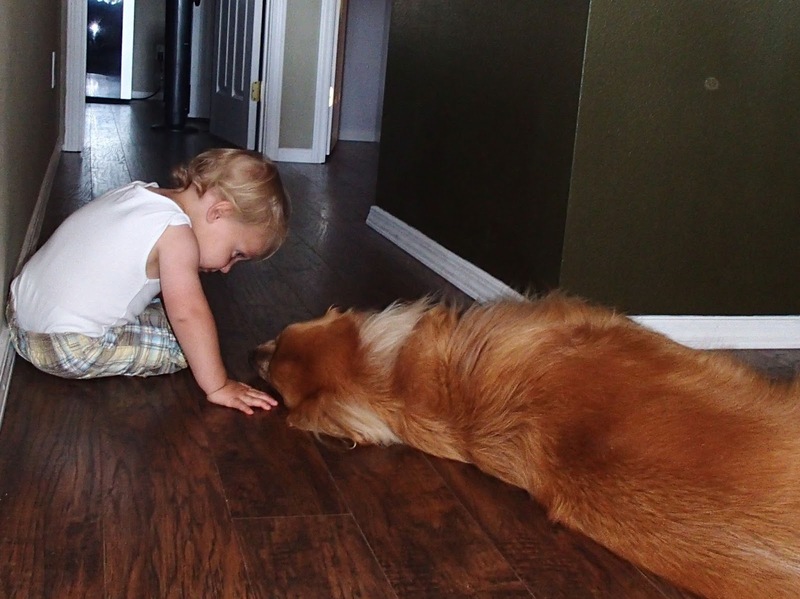 My son looking into the eyes of my Aunt’s resting dog. Do we take the time like we ought to in giving our undivided attention to others? Do we get to the same level as them in an effort to connect? It made me reflect on different instances where getting down can actually have the opposite effect. 1. Getting Down When Taking Pictures – I don’t consider myself a savvy photographer, though I truly love to take pictures. Mine are never really that great of quality since I don’t have the proper equipment. I prefer having a camera that I can slip in my back pocket and pull out for the unsuspecting moments. That aside, I am well aware of one of the big photography tricks with kids and that is making sure you are down on their level. The picture above is a perfect example. How different would this picture look if I had remained standing to take it? 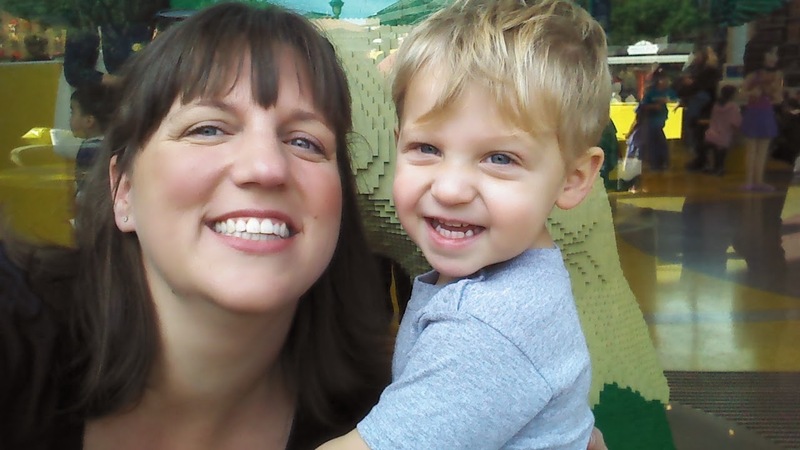 You wouldn’t have been able to see my son’s precious face and the direction of his gaze. You would have seen the top of his head, which takes out the connection between these two. The connection is what makes the picture so great. That same connection is felt when you’re down at the kids level versus taking pictures from up at yours. 2. Getting Down When Speaking With Your Children – I think many a seasoned parent has learned that they get further with their children when communicating with them at their eye-level. I know I’ve seen a difference in my disciplining efforts when I’ve done so. My girls seem to listen more intently when I’ve made an effort to get down to discuss matters with them at their level. The same goes for the positive affirmation. My kids respond with a deeper appreciation when I share my heartfelt feelings while we’re side-by-side. Perhaps shortening the distance increases the seriousness and sincerity of the message being given? 3. Getting Down On The Dance Floor – Or better yet, bringing your own dance floor wherever you go! Let’s set aside the fact that the picture quality above is, at best, poor and that I have a scrunchy in my hair that is bigger than my nose, which is saying a lot with the size of my nose. 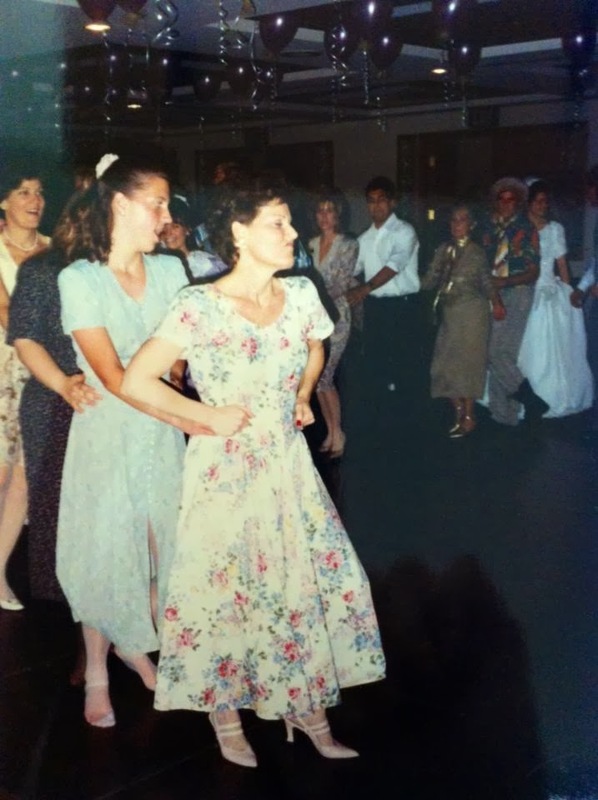 I share this because my Mom (in front) was an expert at “getting down” on the dance floor and any other place for that matter. I can’t even tell you how many rock out dance sessions she and I would have in the car together. My Mom was in her element when she was dancing. However, I think even for those that don’t have the natural desire to dance, joy is found when we allow our bodies to move with the beat whether real or imagined. My husband is not a dancer by nature. But I’ve recently had the good fortune of catching him in the middle of the Running Man Dance Move when playing with the kids. It always makes me smile. Getting down and dancing just makes my heart happy. A large portion of my favorite moments with my children involve us dancing together. I love how Brene Brown puts it in her book The Gifts of Imperfection: Let Go of Who You Think You’re Supposed to Be and Embrace Who You Are , “I measure the spiritual health of our family by how much dancing is happening in our kitchen.” Getting down and dancing is just good for the soul. I think the common benefit to each of these ways of “getting down” is a greater connection to the world around us. Sometimes we get lost in the hustle and bustle of life and forget to embrace the beauty that takes place when we capture moments from the optimal angle, connect with loved ones on their level, and dance our hearts out with unadulterated joy.